We anticipated mobile would become the primary screen for marketing someday. Well, that someday is today. Here are three telltale signs of this immense shift and ways in which marketers should consider rethinking, adapting and growing to meet the demands of the changing SEO needs. 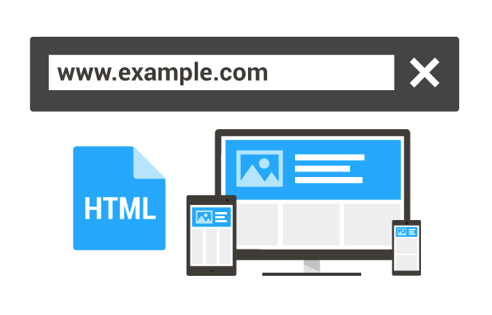 This came a few weeks after Google’s major algorithm update that rewards mobile-friendly websites. With mobile searches surpassing desktop, the business implementation of the algorithm has become even more urgent. A Google report from last year indicated that 50% of consumers who conducted a local search on their smartphone visited a store within a day. With more and more mobile searches each day, this percentage could be higher now. This hugely impacts local businesses such as retail stores, restaurants and cafes. If you don’t already have a responsive website, make it a priority to make the necessary changes. Alternatively you can also set a viewpoint for your website which would still be better than an oversized webpage for mobile screens. Zooming in or pinching on wide pages destroys user experience. Google doesn’t like it and a clever marketer shouldn’t either. Get your business listed on Google Plus Local and Maps. More than 60% of consumers say they use location information in ads. They consider having store address and phone number important in ads on computer/tablets, and directions and call button in ads on smartphone. How much is $100 in Euros? Where is the closest grocery store? How is the weather this weekend? 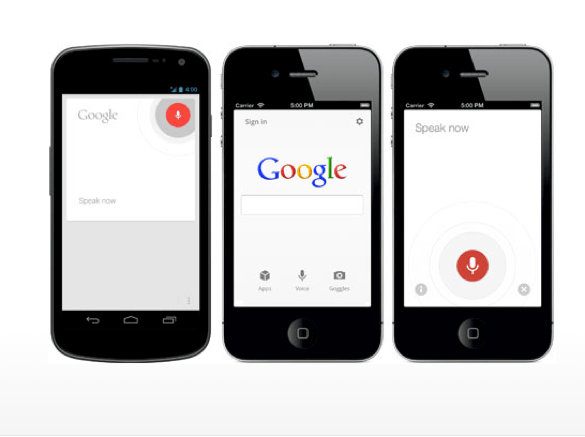 More and more people are asking Google directly for information and the search giant is encouraging voice search. According to the firm 55% of teenagers were using this feature last year. The percentage could be much higher now. With this trend comes a shift in how words are used for searching. Key words are becoming irrelevant. Many marketers who fell in the habit of creating over-optimized, key-word-stuffed content now have to shift their focus to creating content that legitimately benefits the consumer. It was a sign all along. The Panda algorithm that came out in 2011 was geared at eliminating key word based search results. This paved the road for more sophisticated ways to search. The Hummingbird algorithm update in 2013 brought semantic context forward. Semantic search favors sites that give answers to common questions over those that merely use key words. Voice Search is a natural extension of this trend. It has increased the relevance of semantic search because we now speak out our queries instead of typing them in. Review your content strategy. Focus on answering questions of your customers. It could be in the way of question and answers, for instance, how do I know which mobile is best value for money? Shift your focus from key words to the actual information that your customers are most interested in finding. 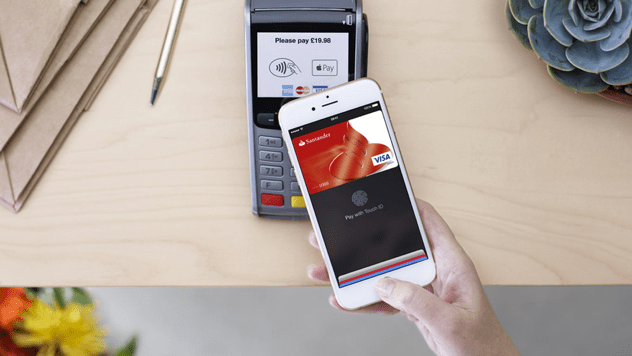 Apple Pay’s recent launch in the UK comes about a year after its launch in the US and has already raised many queries and concerns in the press. Critiques are raising questions on privacy and security but all fears would have to be assuaged in time since there is plenty of competition in the market. In the UK alone, Barclay’s Pingit and PayM have been used to send and receive money. PayPal, already popular for online money transfers, has been tried and tested at stores and restaurants. Samsung has also announced that its top-tier phones will soon offer Samsung Pay in South Korea, The US and Europe. Meanwhile Google will revamp its Google Wallet as Android Pay. With the acceptance and popularity of mobile wallets, marketers and advertisers will have to rethink the way consumers interact with mobile ads. Location is at the core of mobile wallet and so anything that cashes on this feature will be beneficial. Be creative. Make mobile ads more actionable and user-friendly. Think in terms of loyalty programs, consumer clubs and coupons. Earlier this year, Vibes, a marketing technology company, patented a product that allows customers to save offers on banner ads directly to Apple Passbook and Google Wallet. This will potentially make the usage of coupons easier and hassle free on mobile phones. Think in terms of ease and comfort of users. Be it Google Voice Search or mobile wallets, the aim is to make technology easier to handle. We are letting go of unnecessary taps and clicks. As the world rushes to save more time, emphasis is being laid on getting things done on the go. There is immense potential for marketers and advertisers who wish to seize this opportunity to grow creatively and come up with extraordinary ideas on how to catch and retain the attention of consumers.